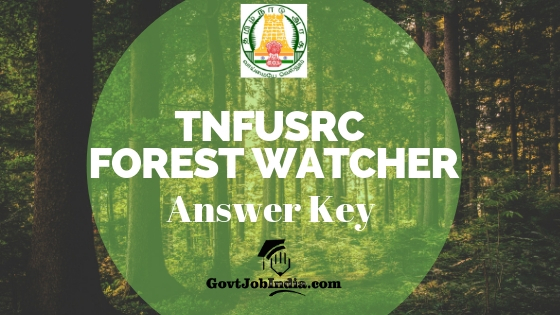 TNFUSRC Forest Watcher Answer Key 2019- It is to be noted that the article given below contains all the details about the TNFUSRC Forest Watcher Answer Key which will be shortly published by the Tamil Nadu Forest Uniformed Services Recruitment Committee (TNFUSRC). The official website where the TNFUSRC Answer Key is expected to be in is www.forests.tn.gov.in. Candidates will find the official link in the segments below which will lead you directly to the TN Forest Watcher Solutions for the CBT. After the successful completion of the recruitment exam, the participants of the test are looking for the official answer key so that they can check and verify the number of right answers they have marked. Furthermore, this Tamilnadu Forest Watcher Answer Key is the final and appellate version for any discrepancies which may have come up with regards to the CBT. 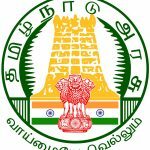 In case of any grievances related to the answers given in the official key, the contenders can directly contact the Tamil Nadu Forest Uniformed Services Recruitment Committee (TNFUSRC) with the help of the link given below. Additionally, you can leave your doubts and suggestions in the comment section and you will get help from our experienced team here @GovtJobIndia.com. Now that you have gone through the basic gist of this article, let us move onto the vacancy details of the TNFUSRC Forest Watcher Recruitment. How to download the TNFUSRC Forest Watcher Answer Key Online? You will find the recruitment all in the “tenders” part of the page. All you have to do is click on the TNFUSRC Forest Watcher Answer key 2019 which will be available on that part of the page. Alternatively, you can go to the link given below which is a direct link to where the answer key will be available. After you have opened this page, enter your registration details and pin code. Your TNFUSRC Solution Key will be on your screen. Let us know your score in the comment section provided below. You may have calculated your score with the help of this article. Now if you wish to know if you have qualified in the recruitment process, we suggest you switch to the TNFUSRC Forest Watcher Result page. On this page, we have elaborated on the details of the TNFUSRC Forest Watcher Merit List and selected candidates list etc. You can view all that on the page given below. The official address of the result page is – TNFUSRC Forest Watcher Result 2019-20. Did you like the way we presented information about the Tamil Nadu Forest Watcher Answer Key PDF? You can share this page about the TN Forest Watcher Exam Answer Sheet 2019 with all others who might be looking for this information. Additionally, please leave all your doubts and requirements in the comment section below. We will resolve them as quickly as we can. Summing up, we request you to stay subscribed to our website @ GovtJobIndia.com for all details related to the TNFUSRC Recruitment 2019.